Hi Everyone. So close to Christmas!! Hope you have all your shopping done and presents wrapped! I haven't even started, haven't put up a tree and am in denial that Christmas is on Monday! Oh well, I have the weekend to power shop. 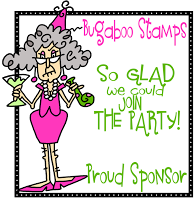 OUr sponsor this challege is the fabulous BUGABOO STAMPS who are offering 4 images to our lucky winner. 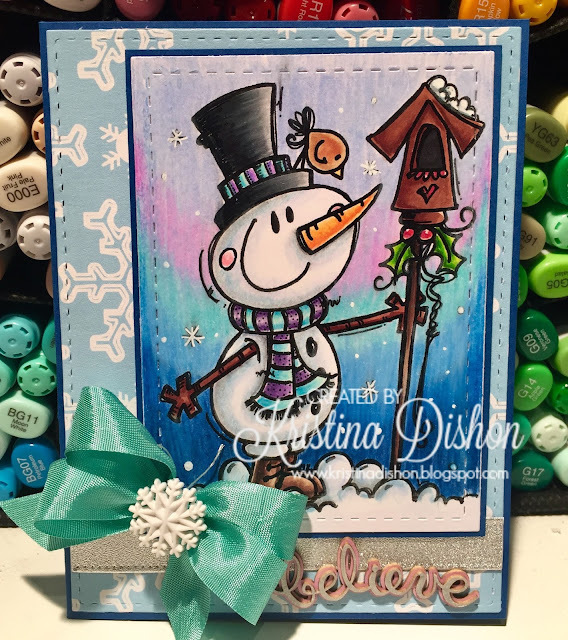 For my card I have used the image - Snowman Birdhouse. I took the opportunity for this one to use some non-traditional Christmas colours. I have used copic markers and prismacolor pencils for this image. I hope you get a chance to play along and wish everyone a fun and safe Christmas and New Year.